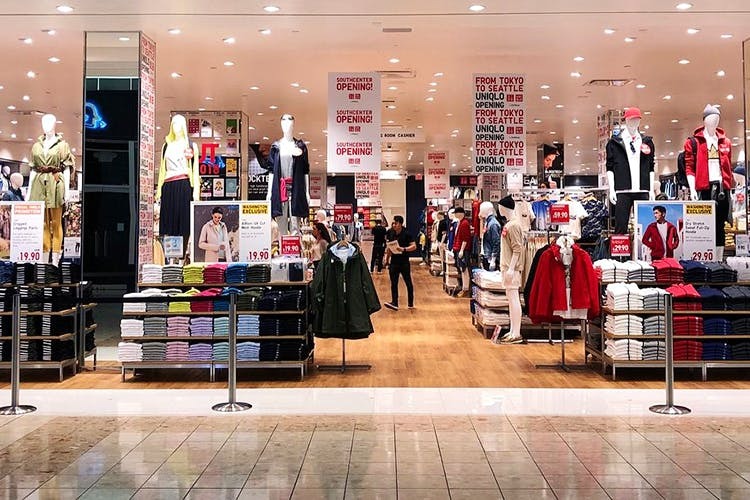 No need to book tickets to Tokyo, Osaka, Singapore, Bangkok or London for that matter, just to stock up on your merchandise from Uniqlo. The Japan brand that is known for functional but fashionable outfits, is also rather affordable. Marking their first store in the country, Bangalore, you will have to wait a bit, and capital New Delhi will get first dibs on Uniqlo. We were thrilled that it’s coming anyway, though we still have to wait until Fall 2019 for the store to actually open up. But plans are afoot to then quickly expand to other cities in the country. Last we heard, Uniqlo was going to open in North Bangalore, when ever it does. We cannot get enough of their offerings be it their trademark Heat-Tech tees, tights, track pants or their down jackets that are ideal for treks in the hills. We also love the casual wear section, and outfits for kids. They also do many collaborations, the most recent one we discovered on a trip to Japan was with Finnish brand Marimekko. So naturally, we’re hoping that the collaboration will make their way here too. Ladies, office wear will now be a breeze with their offering of dresses, skirts and trousers for all body types. Lads, snap up their shirts in pleasing colours, or hope that their linen collection makes its way here too. Also, remember Jeggings? Yes, yes, those denim leggings. We will buy them in every colour if they are on the shelves! Wait (till 2019) and watch this space for more!